Ahh – I don’t like the time change that happen with the seasons – “fall back one hour,” and then in the spring the hour ahead! So, I’ll spend a few days now not sure what time is it, making calculations in my head, subtracting numbers from the clocks that didn’t get changed. Why can the time not just stay the same? Do we really need to change it twice a year? There are some places on Earth that have wised up and left the clock alone. Or, at least if “they” would make clocks that can keep track of the time changes, and do it automatically (I know there are some clocks that do this now, but not all of them), so we don’t have to do it manually. It’s nice that computers and mobile phones can update their times automatically – now I just have the rest of my clocks to change! I guess it’s small thing in the scheme of things. We didn’t lose power here due to Hurricane Sandy, while many around us did. We did have high winds for days that took out some trees around the neighbourhood, and rain for about a week. I made sure all the patio furniture and loose items from the garden were stored away, lest the wind whip them up. But, we weathered the storm with no damage – lucky, and thankful. I’m formatting a paper edition of my novel Brainjob so that should be out in time for the holiday buying season. Another thing I liked to do when I had a full-time job was to get up early and write before I went to work. I found this was a good practice, and left me with a feeling of accomplishment to get some writing done first thing in the day. There are little interruptions early in the morning, and you can get a lot written. This is a good habit for a writer to get into with a full-time job, or not. 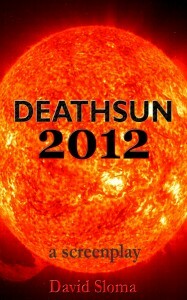 So, here we are about 6 weeks before the Mayan Calendar ends…Yes, I’m interested in the subject. 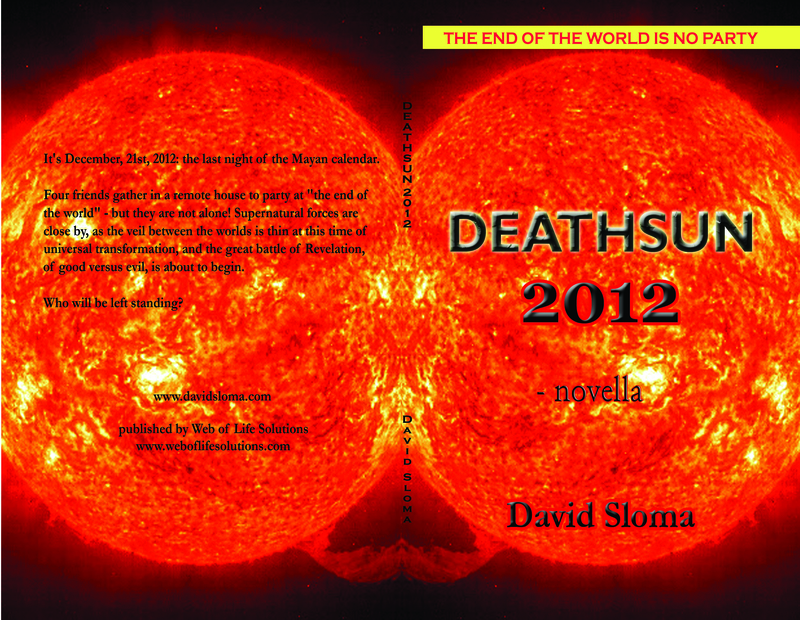 I even wrote a book that is based at this time. 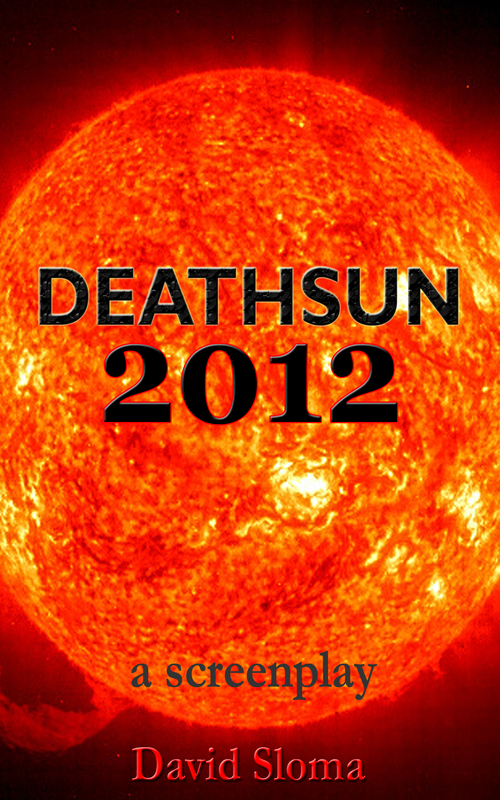 It’s a paranormal-horror story called Deathsun 2012. It’s an interesting time to live through, that’s for sure! On the last night of the Mayan calendar, four friends gather in a remote house to wait out “the end of the world” – but they are not alone! Supernatural forces are close by, as the veil between the worlds is thin at this time of universal transformation, and the great battle of Revelation, of good vs. evil, is yet to begin. I think it came out very well! 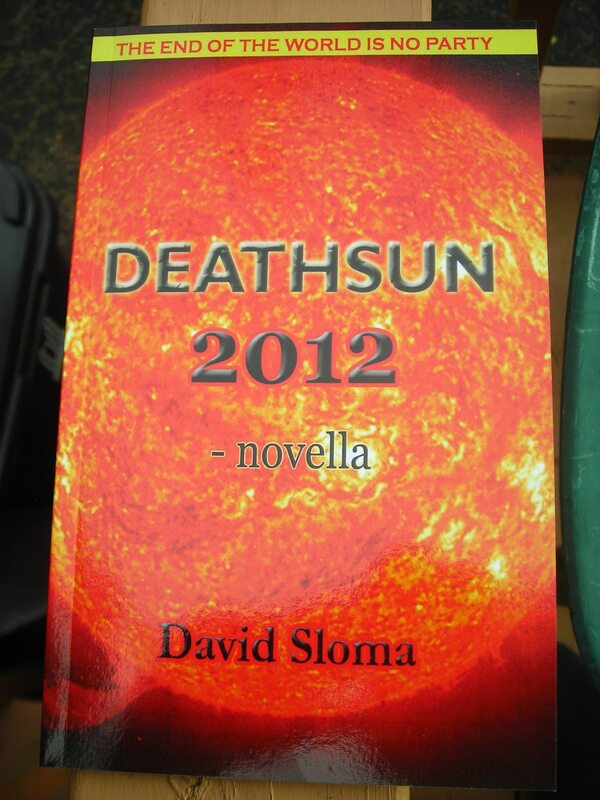 It’s available now in paperback from CreateSpace: https://www.createspace.com/3988303 (Amazon.com coming soon), and it’s also an ebook (Amazon/Smashwords) http://www.amazon.com/dp/B0096IXG4O – https://www.smashwords.com/books/view/223406 and most ebook sites (Kobo, Barnes and Noble, iTunes). 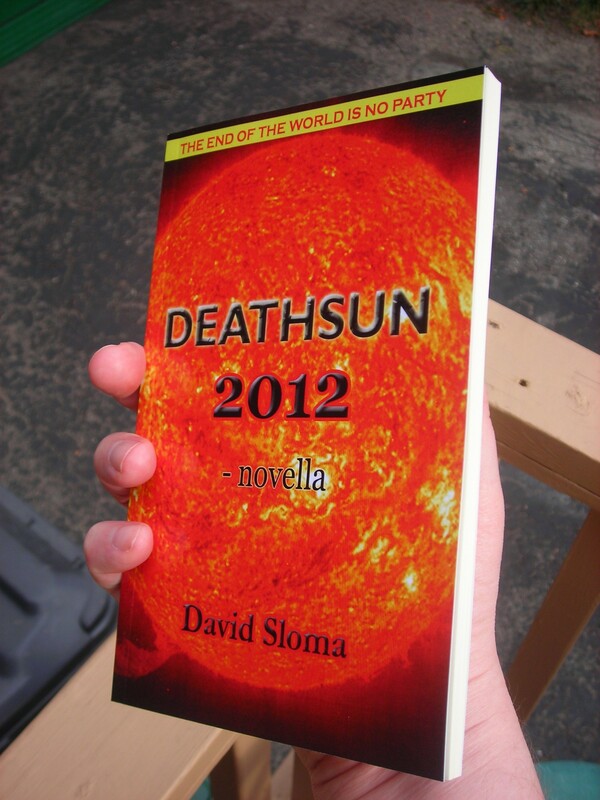 Here’s a new version of the cover for the print book of Deathsun 2012 – novella. 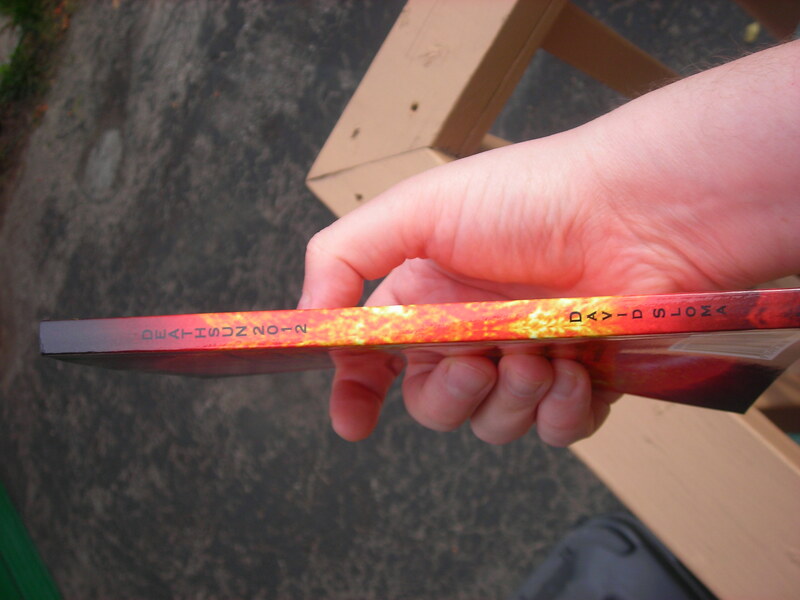 The left hand side sun image was flipped, producing a neat mirror effect. 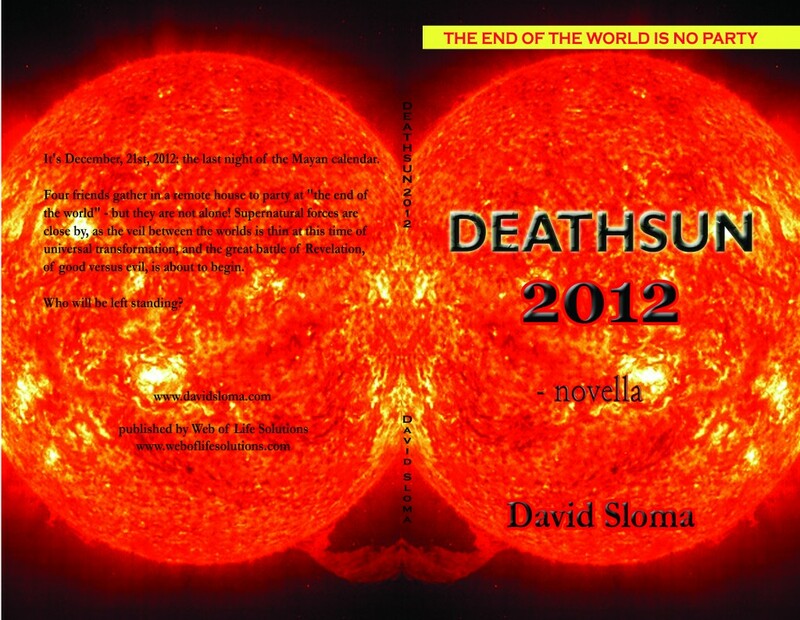 Now, to resubmit it to CreateSpace and see if it passes their standards. This image doesn’t look as good as the Photoshop image, due to the file being compressed. 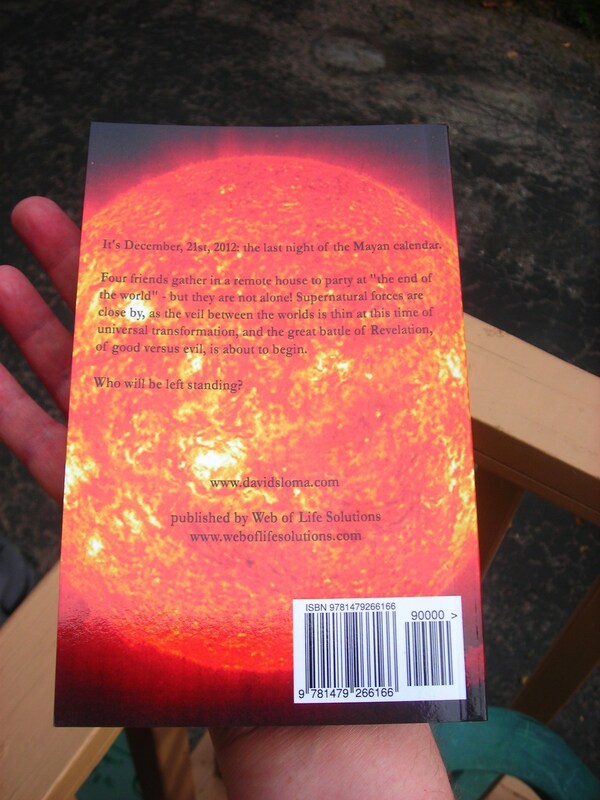 The print cover should look better, as well. My new novella is now out as an Ebook!